How to Scan to an FTP Address for Lexmark CX410 Series Printer? 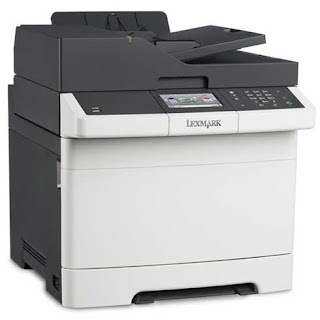 The Lexmark CX410 series printer is a multi-function that can print, copy, scan, and fax. It works well for small to medium size office environments. 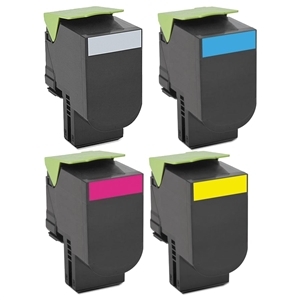 In fact, this printer series is one of our clients’ favorite models to work with, and the compatible toners come in both the regular yield and higher yield version, which is the economical choice for many of our customers. 1. Load the document face-up and shorter edge first into the ADF tray, or face down on the scanner glass. Please note that you can only scan to one FTP address at a time. In addition, do not load documents such as postcards, pictures, small items, etc to the ADF tray. If that’s the case, use the scanner glass instead. If you’re looking for replacement for CX410 and CX510 series toners, our 4K/3K higher yield version toners can save you some money on the printing costs, and free standard shipping for orders over $75 within 50 contiguous states. Remember to enter our current 10% off coupon code HDY10 for additional 10% off your entire purchase at www.toner-spot.com.